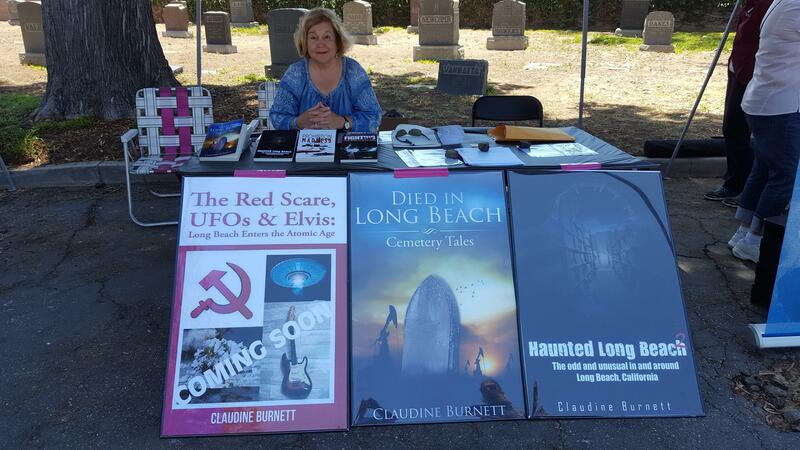 Claudine Burnett has actively been pursuing Southern California history since 1971. She is the former head of the Literature and History Department of Long Beach Public Library and is a member of various historical societies. Her credentials include a B.A. in history from the University of California, Irvine; a Master’s in Information Science from the University of California, Los Angeles; and a Master’s in Public Administration from California State University, Long Beach. At Festival Obscura. Helping save Sunnyside Cemetery . 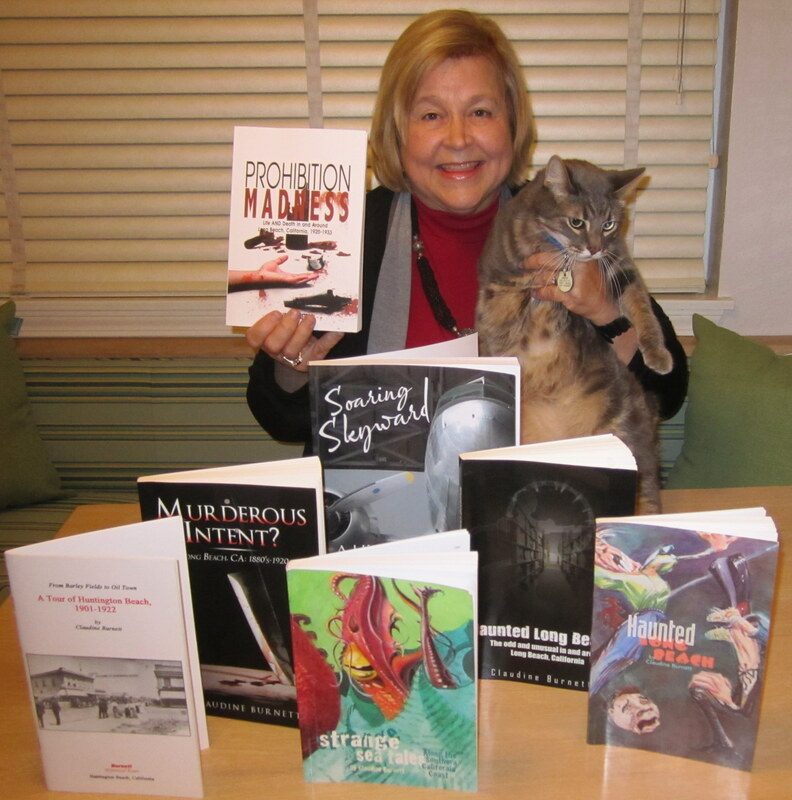 She has written a number of books and articles on Southern California history for which she has received numerous awards. She has also appeared on national radio and television. Named one of the City of Long Beach’s most influential people in the cultural arts by the Long Beach Business Journal, and described by the Long Beach Press Telegram as “one of this town’s finest historians,” Ms. Burnett’s books are sure to open up new sources of information for history enthusiasts, and most definitely shed additional light on the past. WHAT THE AUTHOR HAS TO SAY ABOUT HERSELF: I’m a retired librarian, who for 25 years spent as much free time as I could pouring over old microfilmed newspapers in the Long Beach Public Library’s Periodicals Department to create the library’s Long Beach History Index (which you can find on the library’s website at www.lbpl.org). My quest for information began with the year 1881, which was the year William Willmore created the town that would eventually take the name Long Beach, AND the year the Los Angeles Times began publishing. As I followed the Times, the Los Angeles Herald and the Long Beach papers that eventually came into being, I kept coming across stories about wonderful people, and events, that helped shape not only Long Beach, but Southern California as well. Even though I indexed the articles, and made selective copies for the library’s files, I feared these wonderful tales full of valuable information would remain forgotten unless I did something about it. The end result was several books and my on-going blogs which are highlighted here in my website. I work with two assistants—Esmay, a black female cat. Amador, a gray male. Both have literary aspirations of their own…they frequently walk on my computer keyboard trying to add their own take to what I’m writing! So, any “quirks” you find in my website must be theirs! FOR MORE don’t miss Claudine Burnett’s interview on early Long Beach aviation. ALSO HER C-Span interviews and a recent newspaper interview.